Columbus, Ohio offers a variety of estate home plans with plenty of room to incorporate amenities that you have always dreamed up. The range of estates can encompass modern styles, the traditional European, Queen Anne Victorian, Tudor, Italianate or Colonial, and country styles. Estate homes come equipped with master suites, your own dressing room, grand gourmet kitchens, butler pantries, libraries, conservatories, entertainment rooms, full service sun rooms, and many other imaginative designs. Normal amenities get expanded on with estate homes. Here you’ll find multi-car garage bays, pool pavilions or cabanas, tennis or basketball courts, and privacy apartments that can house a nanny, parents, or other family members. The award winning real estate brokerage firm of the Raines Group can help potential homeowners find their dream estate home in Backlick, Gahanna, Dublin, Hilliard, New Albany, Powell, and Westerville. Columbus communities have their own unique personalities and are located near parks, museums, sporting events, and theaters. These communities and many others around the Columbus area have large open floor plans, award winning designs, and are located within top-rated school districts in Central Ohio. 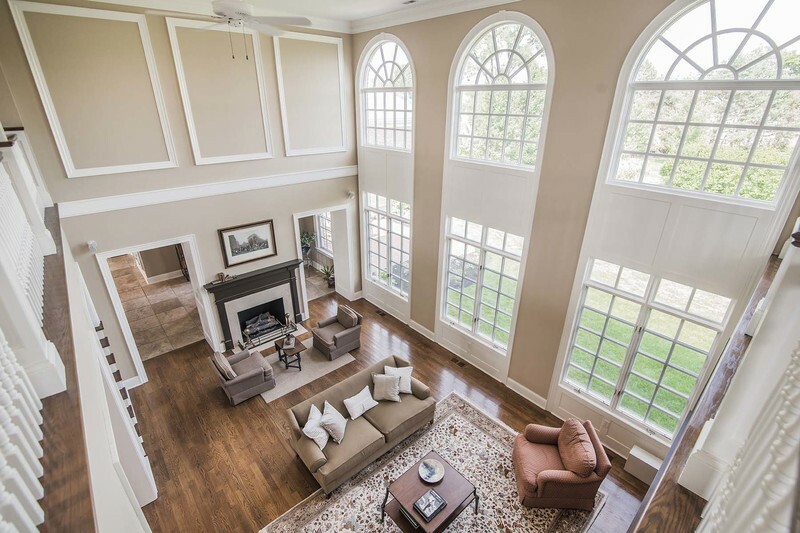 The Raines Group and their partnership with the HER full service real estate firm, believes in finding the right estate home for people looking for spacious and luxurious home amenities within the Greater Columbus metropolitan communities. The Raines Group/HER realtors has a team of professional realtors and architects, landscape artists, and builders who retain the tradition of creating estate homes that are the finest in Central Ohio. The artistic work that goes into an estate property will always command a certain price. An estate property is an investment that remains good for years. Location, location, location is the winning key to owning an estate in the Columbus neighborhoods, because this great city has all the upscale amenities that aspiring individuals and families could want. Estate homes are structured within luxury communities where the housing values are very appealing and where many estates are a part of a gated community or a golf club environment. Generally, these estate communities encompass activity programs for kids, child care, fitness centers or spas, full service country clubs and many other communities that estate owners would like added to the community and which makes it difficult for owners of estates to leave, but is a lifestyle that you want to invest in.